Blockette wall mirror has simple and sleek yet modern design. 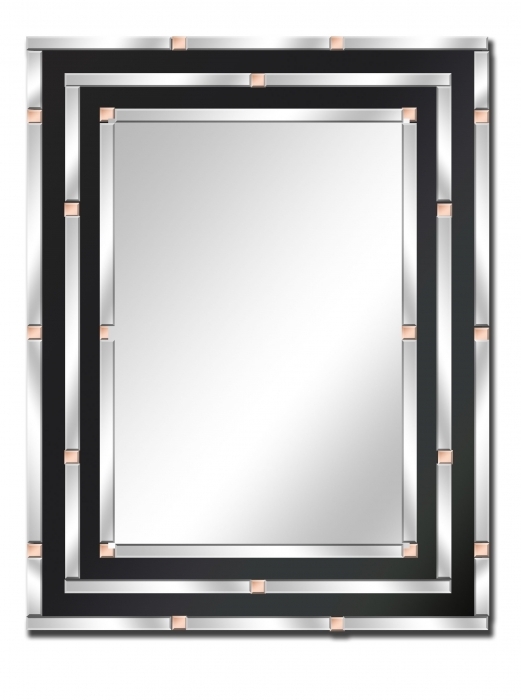 It is hand crafted using bevelled black, clear and light brown mirrors placed beautifully around a main large mirror. Smaller mirrors create a beautiful design and the bevelled edges of each mirror create a wonderful light effect. Please note, mirrors are checked before dispatch and very well packed to avoid any damage in transit. Screws, rawl plugs or wall fixing kit are not included. All dimensions given are approximate.